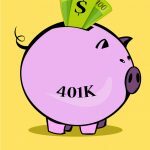 401k Employer Match | Getting Free Money! 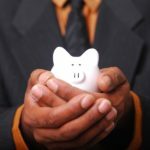 Taking Full Advantage of Your 401k Employer Match and Getting Free Money! 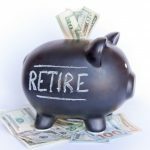 If you’ve got an employer sponsored retirement plan such as a 401k that offers some type of matching contributions, then you’ve got every reason in the world to take advantage of it! 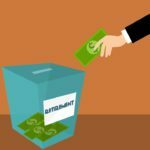 Not participating enough to get the full 401k employer match is like leaving money on the table. And why would you want to pass up FREE money? 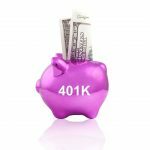 Employer matching contributions are a huge advantage for a 401k in the IRA vs 401k debate. 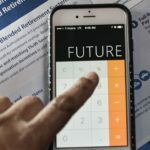 Because an IRA is a plan you setup and run yourself as an individual, it is very unlikely that your employer would give you any money to put with it. However, with a 401k, most employers will almost always kick in some additional percentage on top of what you put in. 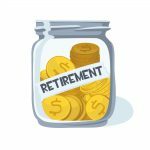 Keep reading to see an example of just how big of an advantage this could be for your retirement planning! • For every dollar you contribute to your 401k plan, your employer will kick in some money on top of this. This will be different for each employer. For example: For every dollar you invest, your employer might invest 25 cents (or 25%). • Generally there is an upper limit to your employer’s contributions. This also will be different for each employer. For example: Your employer might cease those contributions after 10% of your income. Let’s say if you make $5,000 per paycheck, and you contribute 12% of that to your 401k plan ($600). If your employer stops at 10%, then they’ll calculate their contribution based on 10% ($500). If they’re paying 25 cents to the dollar, then they will kick in $125. • With employer contributions, there are also usually vesting requirements. In a nutshell, this is just a waiting period before your employer’s contributions are legally yours. In other words, if you leave your job before you’re “fully vested”, your employer will likely take back some percentage of the money they contributed to your 401k. Although it is rare, some employers have made headlines for their extremely generous 401k matches. How does $1.40 for every dollar you contribute sound? 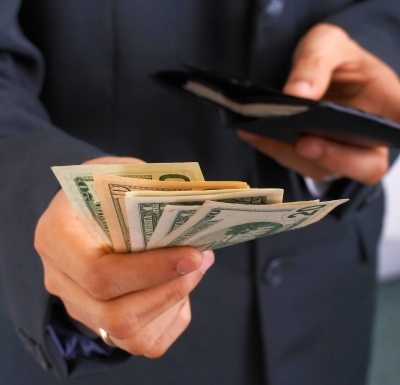 How Much Money Do Matching Contributions Really Make Me? If you don’t think that this is enough money to care or not a big deal, THINK AGAIN! 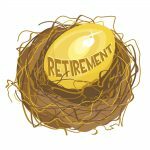 Let’s go through the numbers quickly and see just how much extra these 401k employer matching contributions can really add up. 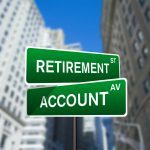 Now let’s say that over a 30 year time span, your 401k plan had investments that resulted in an 8% annualized return (such as with a stock market index fund). (For simplicity, we’ll ignore inflation, raises, etc.) 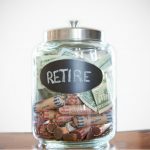 Using the powerful effects of compound interest, how much more money are you going to have with the employer matching contribution? What a result! For this example, the combination of your contributions plus your employer’s 401k match resulted in a nest egg of $849,624! That’s a whole 25% more than just your contributions alone at $679,699. And don’t forget – all of this money is growing tax free until you take it out for retirement! Not bad at all! Don’t Wait – Max Out Now! Talk to whoever handles your 401k plan at work and find out what exactly what your unique rules are. Then take full advantage of this opportunity for free money by raising your contribution level to at least your employer’s upper cap. Judging from the example above, is this really an opportunity you can afford to pass up? Great article. 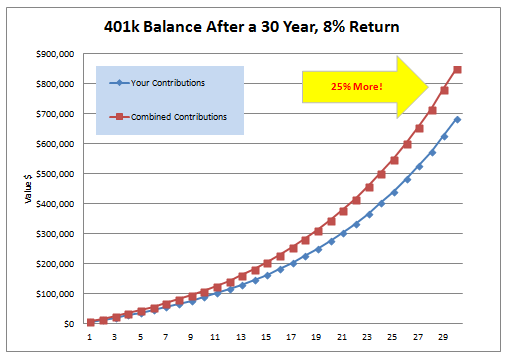 I am always surprised when people don’t contribute to an employee sponsored retirement account like an 401k. They won’t pass up a hundred dollar bill lying on the ground but then they don’t take the free money offered by their company. I couldn’t agree more. There is absolutely no other investment in the world where you are guaranteed to make 100% on your money. I always contribute the maximum amount that my company will match dollar for dollar. Great article. Hey this is free money and investments by just doing what you should be doing in any event. The reality is that this is an incentive that is just too good to pass up. 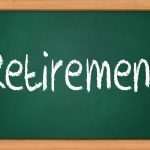 To have any chance of a decent retirement portfolio the maximum contribution is a requirement not an option when you run the numbers.